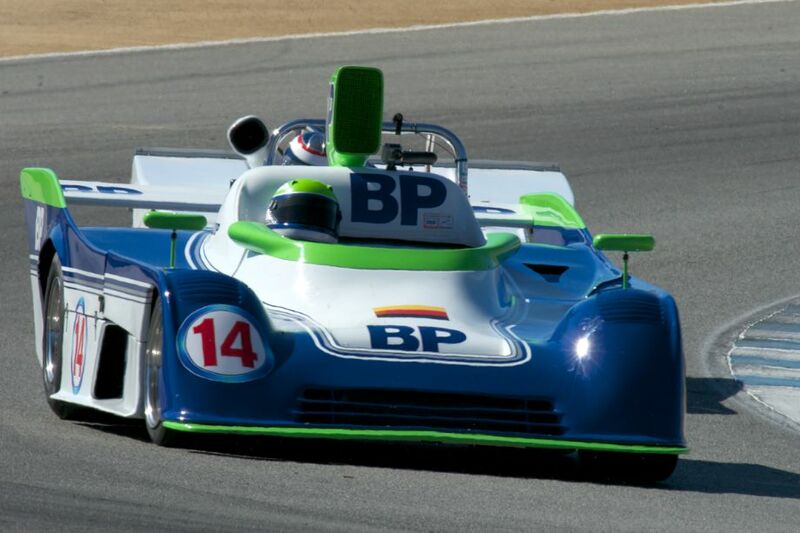 The Rolex Monterey Motorsports Reunion 2013 was held August 15-18 at the 2.238-mile, 11-turn Mazda Raceway Laguna Seca in Salinas, California. Learning new things about old cars was the thread that ran throughout the weekend, as visitors to this year’s Reunion witnessed historic race cars from nearly every era, dating as far back as a 1911 National 40 to a more modern-day 1992 Mazda RX-7 92P. The field of 550 historic racers were divided into 16 groups according to age and engine capacity and chosen for their period-correct presentation. Formerly known as the Monterey Historic Automobile Races or Monterey Historics, the 2013 edition of the Rolex Monterey Motorsports Reunion celebrated the 60th anniversary of the Chevrolet Corvette. A total of 45 Corvettes were among the historic automobile entries, and the Corvette Heritage Display featured a collection of the most important cars in Corvette’s evolution. Rolex Awards of Excellence were awarded in each race category to individual drivers who were determined by an independent panel to be “most deserving,” and the event’s highest “Spirit of Monterey” honor, which is coupled with the awarding of a specially engraved 18k stainless steel and gold Rolex Oyster Perpetual Cosmograph Daytona, went to the driver who, simply and elegantly stated, excelled in the spirit of the weekend. 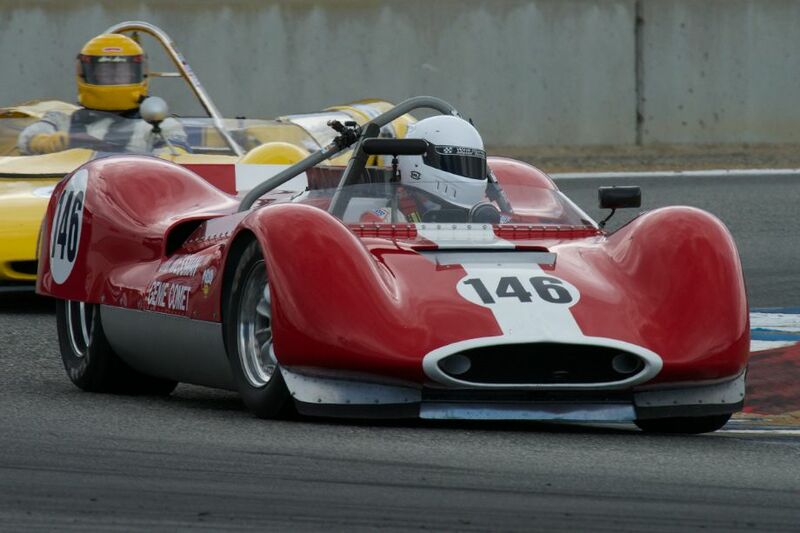 Harden drove his 1963 Huffaker Genie Mark VIII on Saturday in Group 4A for 1960-1968 Sports Racing USRRC Cars. His first race was in 1953 when he competed in one of the Pebble Beach Road Races, which ran from 1950-1956 through the Del Monte Forest before “Laguna Seca” was purpose-built in 1957 as a permanent race facility. It was appropriate, he said, that where he raced his very first race should be the same place he raced his very last. At age 81, Harden has taken his racing helmet off for good, officially retiring after yesterday’s race here, where he finished a very respectable eighth out of 33 cars running in his class. 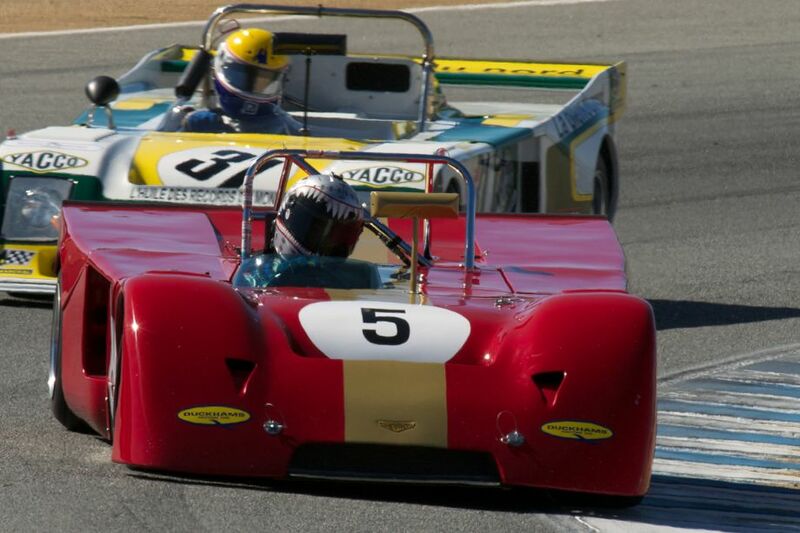 Similar to the 2009, 2010, 2011 and 2012 races, Senior Photographer Dennis Gray also documented the 2013 Rolex Monterey Motorsports Reunion, offering the following photos that highlight the diverse line-up of historic racing cars battling the straights, curves and drops of Laguna Seca. We split up Dennis’ 327 pictures into two galleries. The first gallery starting below features our favorite images, all displayed in the full-width view of Sports Car Digest, while the second gallery and race results can be found on the last page of the article and gives a comprehensive view of all the photographs. Huffaker Genie Mk.VII driven by Spirit of Monterey Award Winner, John Harden. 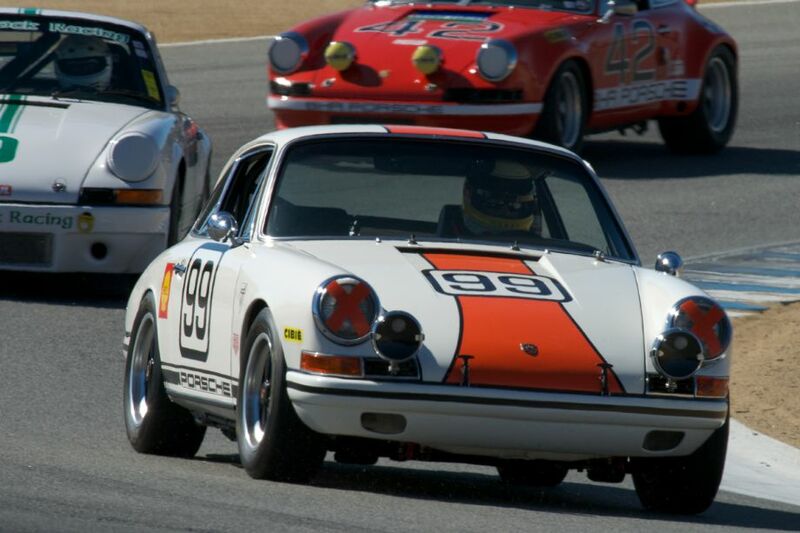 Frank Altamura in his Porsche 911S. Chevron B19 in turn five Thursday afternoon. Peter Read’s TOJ FIA in turn five Thursday afternoon. Alex MacAllister in his Chevron. 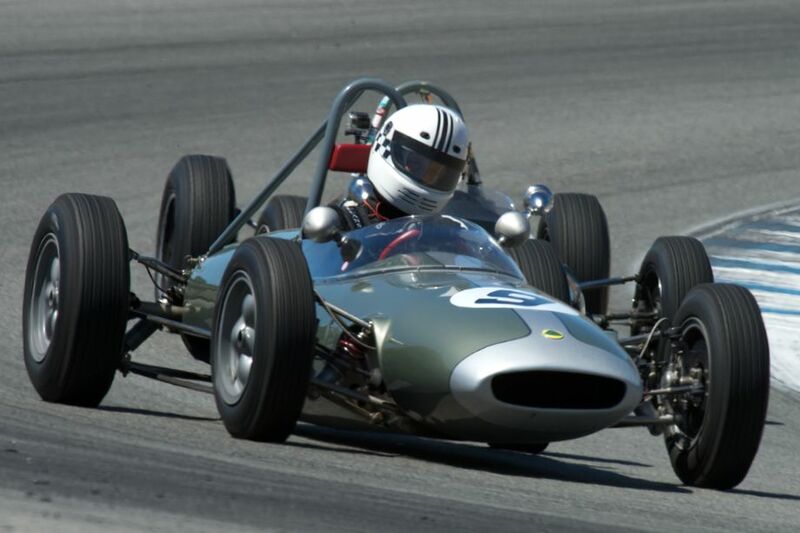 Carl Moore in his Lotus 22. 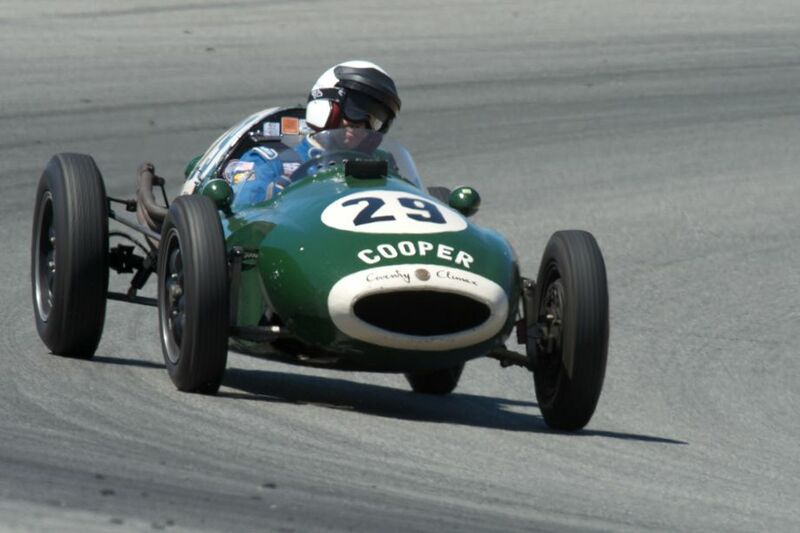 Luca Maciucescu in a Cooper T43. 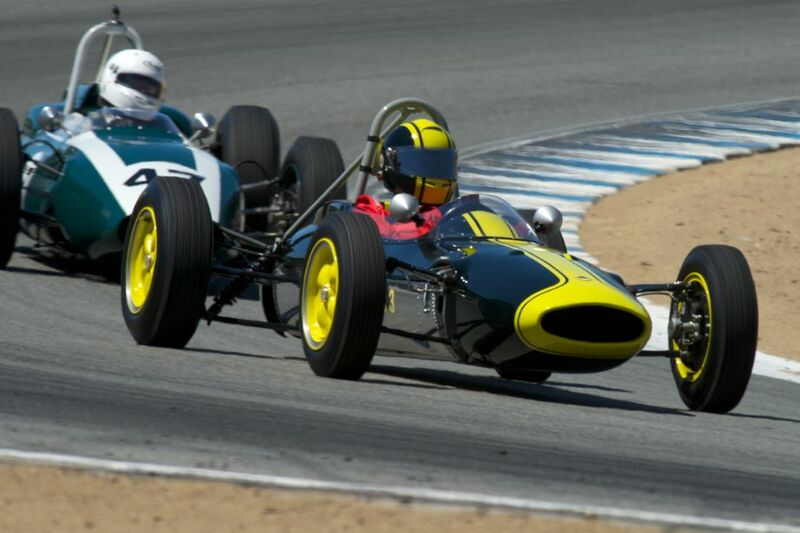 Jack Fitzpatrick in his Lotus 27. Many of these images have a near mythical feel to them. Is it the fog, the excellent cars or simply the sheer quality of Dennis Gray? (I’m guessing the latter). Well done to all. Dennis, Great shots as usual love the one marked, The Fog Continues To Burn Off! Great view! Sorry I missed you at Tremblant, a beach in Maine was calling that week. Would have been great to finally meet and chat. There is always next year! I’ll be at Mont Tremblant next year with the f8 Motorsports Photography Workshop group. We had a great time this year and the workshop participants created some wonderful images. Looking forward to meeting you and other followers of Sportscardigest.com. Bravo to sportscardigest.com for the expansive coverage of the Monterey and Carmel events, the first thing I did each morning was turn on the internet to see what new story would appear. The photography was great, and the news of an auction sale for $27.5 million really puts this in a different class of fantasy. On the subject of fantasy, my interest is with the racing at Laguna Seca /Mazda Raceway, and the images Dennis produced this year are the best ever. The detail was so finely captured that I felt like I was there, experiencing the racing excitement from 900 miles away. Thank you Dennis,once again your photographs have given me a “nearly was there” feeling. Great Photographic coverage of my favorites,1950s and 60s sportsracing cars,and production sports cars. A couple of questions Dennis, in your photograph # 319 behind the Morgan +4 is a red sportsracer with white stripes, I´m sure I never saw a photograph of this car on its own. Just what is it?. Also in the picture # 250, with the Sadler FJ is a red FJ? # 9, any idea as to what it is?. thanks once again Dennis, cheers from Sweden. Thanks to you and all the our readers who have taken the time to leave a comment or send an email. As to your questions on the cars image #250 shows Bill Sadler’s 1959 Sadler FJr. followed by Carl Stirtz in his BMC Huffaker Mk.1 FJr. They are just going over the crest and into The Corkscrew Sunday morning in heavy fog. Image #319 is the 1953 Morgan Plus 4 TT/Le Mans Special driven by Dennis Glavis, on the far right is just the front of Robert Williams’ 1952 Siata Daina Barchetta on the left is Bruce Glascock in his 1950 Crosley Almquist powered by a flat head Ford with three carbs. And again thanks to our many readers for their comments, emails and other communications on our coverage of this event. We were there with 2 cars, a 1959 Kellison & a 1968 Vette, and the pics really show the action. Thanks!! But what wasn’t mentioned was the appalling number of contact accidents and way too many of-course excursions. The quality of driving was the worst I’ve ever seen at any event, and I’ve been driving since 1971. Someone buys a $4 million car, attends a 3 day driving school, and thinks he’s Jackie Stewart! Excellent photographs. Thank you for taking them and making them available. It is an amazing event; more people need to learn about it and appreciate the history behind these cars. 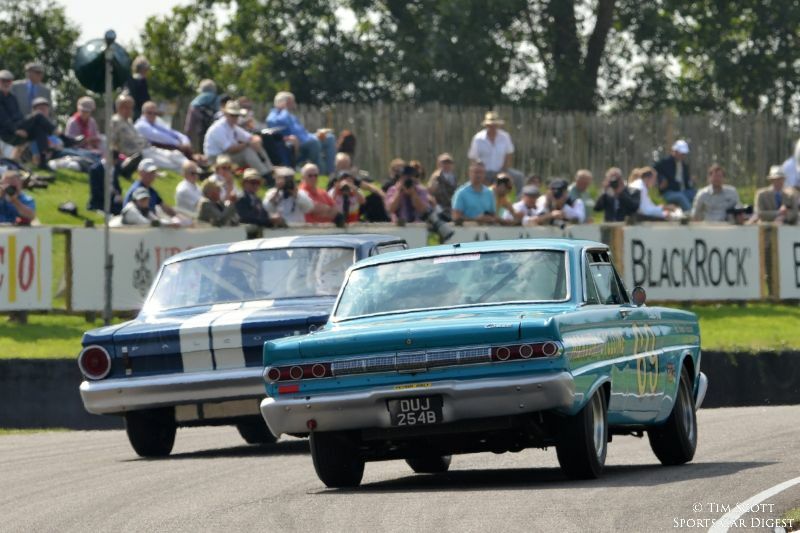 It is unfortunate that some drivers forget the event is about the cars (and sharing them with the public, not about the drivers or winning) and push past their abilities resulting in accidents ……..hopefully there will not be many such instances in the future. Cheers to Dennis Gray for capturing the excitement and adventure. I second the comments on the great coverage and photos. Count me as another that was really disappointed in the amount of wrecks at this year’s event. I would say that’s a big factor in why the quality of cars keeps decreasing every year. Say what you want about Steve Earle, but he would not have put up with it…and for good reason. The cars are the stars!